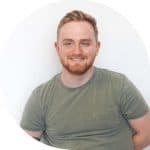 My name’s Daniel, I live in Milton Keynes and I’ve been an SEO for more than 7-years. I help business owners increase their website traffic and organic Google ranking position. *This a personal freelancing website. Out of courtesy to my full time employers, any projects that I am approached to work on will need to be discussed with them prior to any work being completed. Like I mentioned above. I live in Milton Keynes and have done my entire life. I’ve worked for local businesses, like yours and I know how hard it is to find time for your SEO and website. Your website is important for many reasons. But it all comes down to one; it allows potential customers to see what you’re about. I will make sure that your website is easy to understand for users and search engines. After all – that’s the definition of SEO. For more information, please don’t hesitate to contact me; I’m happy to have a chat when the time suits you. Following my guide to keyword research allows you to identify phrases that potential website visitors are searching for. Targeting and optimising for the right keywords improves traffic to your website. My approach to keyword research identifies new content opportunities. We can find search terms that you may not have thought about optimising for in the past. These new opportunities can help boost your websites traffic. More traffic & building trust = more enquiries = more sales. See this page for more information on my freelance keyword research services. SEO makes sure that your website is easy to understand for users and search engines. Getting it right helps improve website traffic and your organic ranking position. I provide ongoing freelance SEO in Milton Keynes for small businesses and entrepreneurs.